Its my first time make arduino project. I make wemos d1 project using DHT11 temperature sensor and LCD 20x4 with i2c. The temperature data will display in LCD and sending to the bot telegram. For sending to the bot telegram it works, but why the data cannot display to the LCD? When I tried common charachter like "Hello World!" in the LCD it works. Can you help me? What should I do? Thanks before. Constant D14 is for Wemos D1 and other esp8266 dev boards mapped in arduino core to esp8266 io pin 4. Pin 4 is used as I2C SDA pin. 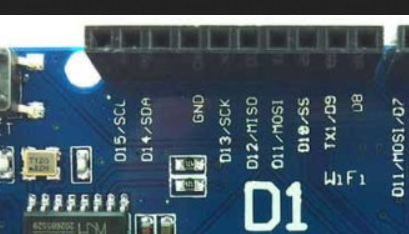 The LCD uses I2C so pin 4 (D14) can't be used for the sensor. The origin of this confusing esp8266 io pin to Dx constants mapping is the big Wemos D1. There are esp8266 pins mapped to standard Uno pinout. Not the answer you're looking for? Browse other questions tagged lcd temperature-sensor print or ask your own question.